During the months of April AND May, we at Seven Stones bring our attention to money. Money is one of scarcity’s biggest pain points. Join us and spend time diving into breaking free from the money trap and using a generosity practice as access to creating a life of Sustainable Abundance. 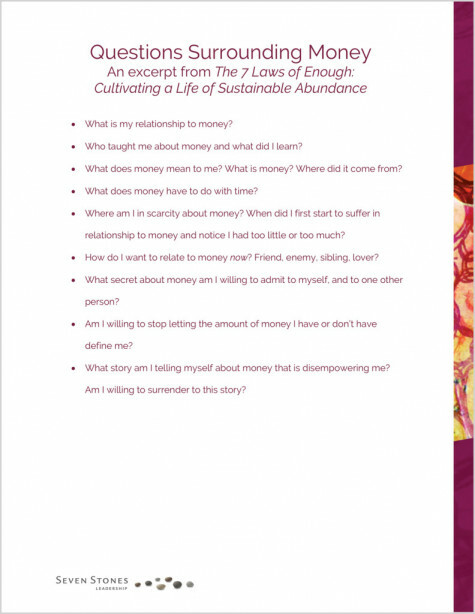 We are offering free our Questions Surrounding Money Worksheet to get you started!